2″ long including french wire. 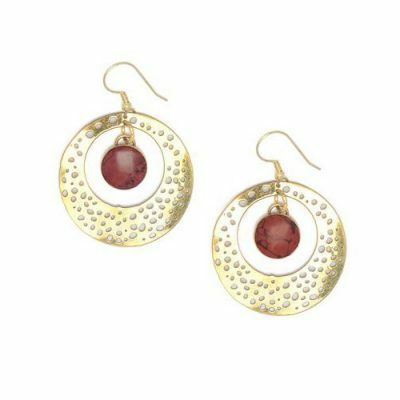 Bright brass hoops encircle red stone coins. A fair trade item from India.